Vocalist and songwriter Jane Kramer is set to independently release her gutsy and ambrosial second solo album entitled Carnival of Hopes on Friday, February 26, 2016. Carnival of Hopes feels both celebratory and frank. It is filled with songs of regret and insight found after deep and gritty self-reflection. At its core, the album tells the story of facing down dark inner demons while still clinging to “that tiny chirping of light in your bones that somehow keeps you tethered to keeping on,” Kramer says. With deep ties to the area, Carnival of Hopes, boasts a sparkling cast of Ashevillian producers and players. It was recorded at the award-winning Sound Temple Studios in Asheville in February of 2015, while she still lived on the other side of the country in Portland, Oregon. 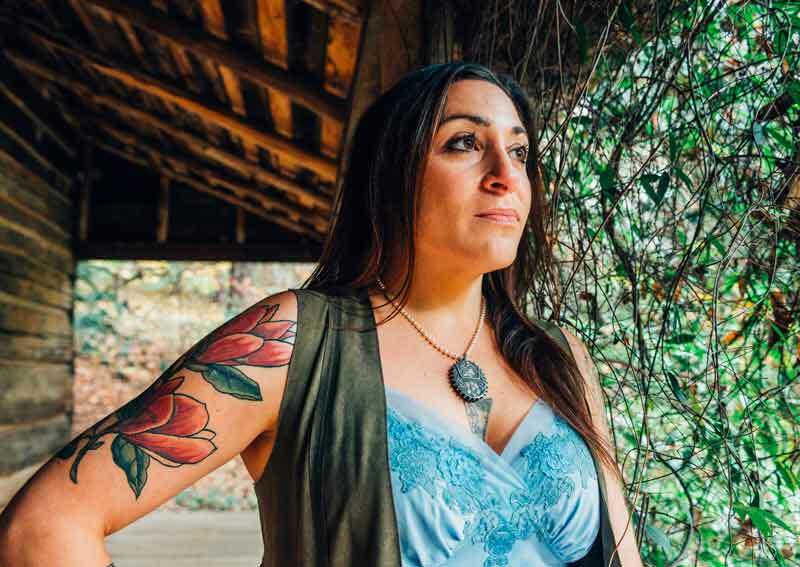 A few months later, after a four-year run spent writing and reflecting on the West Coast, Jane Kramer pulled up stakes and returned to Western North Carolina with a renewed energy to share her new music with the world. Carnival of Hopes aches and soars with her connections to Appalachian balladry, a force she first encountered at Warren Wilson College and honed while performing with the Asheville-based all-female trio, the Barrel House Mamas, who helped reintroduce Americana music to the Blue Ridge Mountains a decade ago. However, it is as a solo artist where the power of Kramer’s songwriting and world-class vocals truly shine. Kramer’s longtime friend Adam Johnson of Sound Lab Studios, whose portfolio of clients includes such names as Alison Krauss and Yo Yo Ma, produced and engineered the album. Kramer is backed by Chris Rosser on piano and harmonium, Eliot Wadopian on upright bass and River Guerguerian on drums and percussion, the virtuoso trio that comprises Free Planet Radio, and by master Georgia-based bluegrass musicians/ multi-instrumentalists, Pace Conner (steel string, high string and baritone guitars, ukulele, mandolin, and backing vocals) and Michael Evers (Dobro, banjo, mandolin, and backing vocals) who arranged the songs for recording and perform and tour with Kramer regularly. Carnival of Hopes as an album is full of sometimes-searing flourishes on the complexities of Kramer’s modern life. The title track clearly encompasses that, she says. On this deeply personal album, Kramer’s favorite track is the ballad, “Good Woman.” While she says she’s not one who fits that description, listeners might disagree after hearing the lilting but earnest passion and regret in her voice. “Aside from the sentiment, the contributions of virtuoso players, Nicky Sanders of Steep Canyon Rangers and Franklin Keel of Sirius B, also help make the song a favorite,” Kramer adds. They play orchestral fiddle and cello, respectively, on “Good Woman”. Other songs on the album offer clear hints to Kramer’s unflinching self-examination and ability to convey heavy subject matter through utterly palatable and even catchy song-crafting. The New Orleans jazz-influenced “Why’d I Do That Blues,” (which features a horn section comprised of JP Furnas on trombone and Ben Hovey on trumpet), the classic country honky tonking sass of the opening track “Half Way Gone,” and the banjo-driven, uptempo modern-day spiritual “My Dusty Wings” all speak to a talented songwriter laying herself bare. She credits her songwriting hero and mentor, Mary Gauthier, with helping her reach for, and express, everything she hoped to communicate with the album. The sense of homecoming that rings through was a conscious effort, Kramer says. “I did that because Asheville is my dirt. It’s my home and my culture, musically and otherwise. I missed it and knew somewhere in my bones I would be coming back to stay soon,” she says. “I didn’t want to make an album that didn’t sound like home,” Kramer adds. “I wanted Asheville musicians and Appalachian instrumentation – that wistful, southern dobro sound that hurts your heart a little.” Carnival of Hopes is indeed a homecoming album, and will take listeners through the enchanting and accessible emotional landscape of a woman who has climbed the mountain of her own failures and fears and learned how to be at home with herself. Vocalist & Songwriter Jane Kramer makes a full-voiced return to her roots with mountain-made second solo album, Carnival of Hopes, due out February 26, 2016. Produced and Engineered by Adam Johnson of Sound Lab Studios, the album features backing band Free Planet Radio as well as guest appearances by Nicky Sanders of Steep Canyon Rangers and more.